We really like a low key New Year’s Eve. I know it isn’t exciting but my husband dj’d for many years and with my time in the restaurant industry we tend to want to just hunker down. This year we’re having friends (who also have small children) over for appetizers and to ring in the 2012 with lots of bubbles. That calls for something sparkly and special (like Edward Cullen special and sparkly). 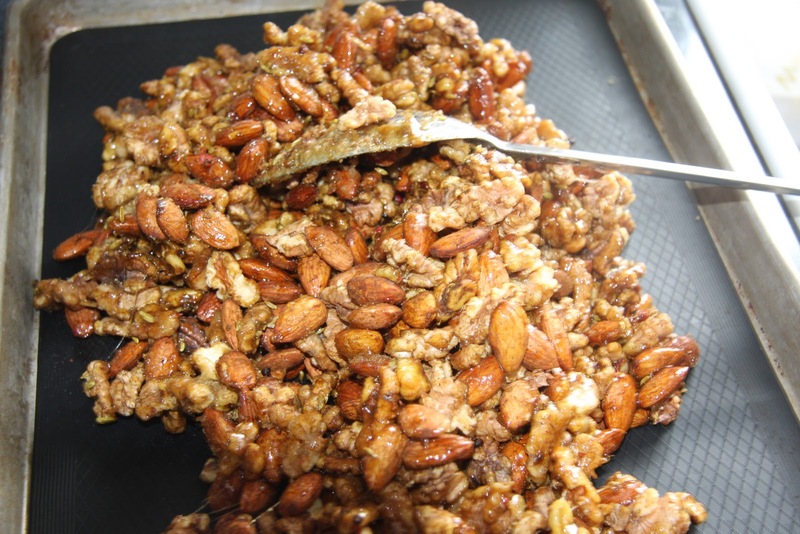 This recipe has a few ingredients that are not of the regular sort but it is a special night. 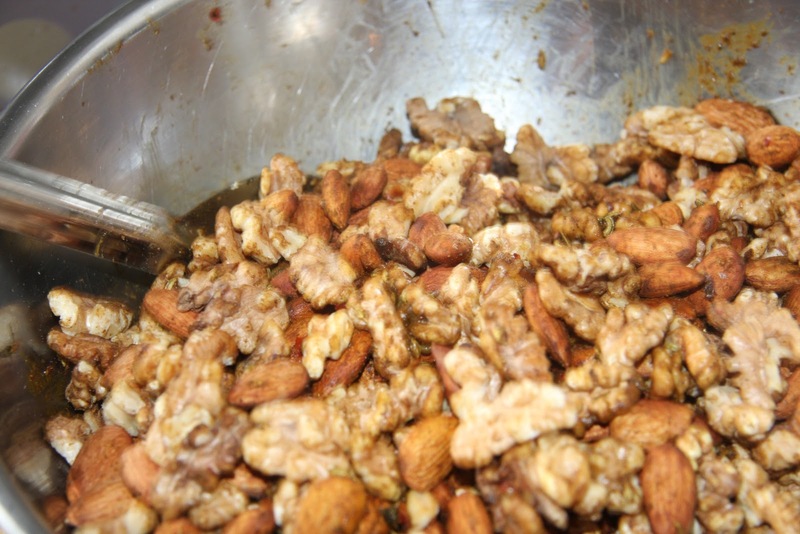 I’ve got in mind an East Indian inspired toasted nuts and I can even send a jar of them with my father-in-law who flys out to Florida today. I want yellows and spice with smokiness and salt. Here’s how I’ll get what I am really in the mood for. 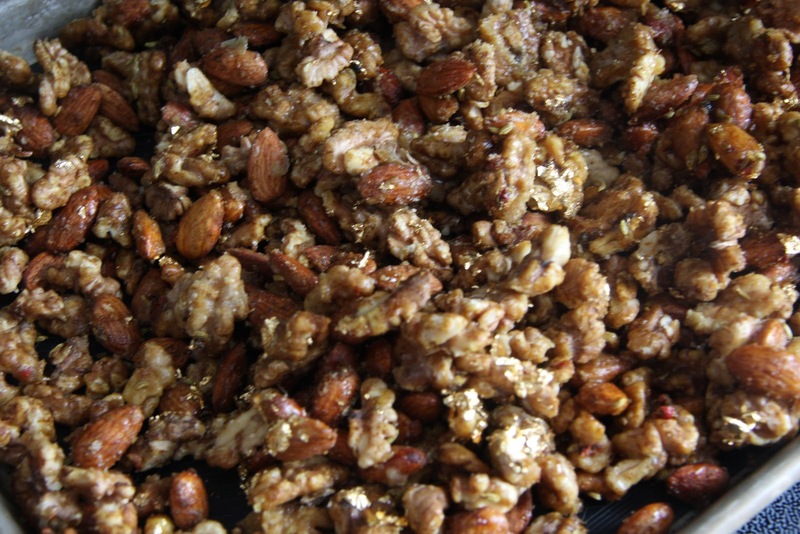 I started with five cups of almonds and walnuts and toasted them in the oven. While they were toasted I mixed 1 cup of water and 2 cups of sugar. I let this boil until it reached the hard crack stage. 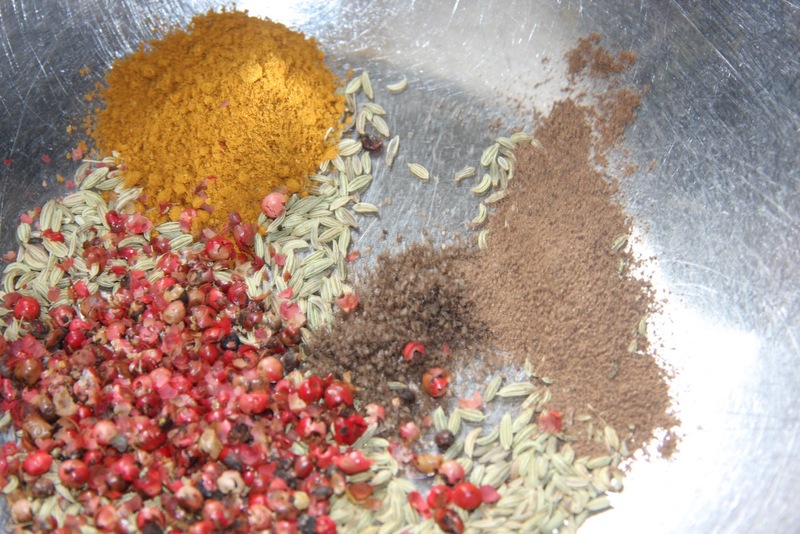 Then came my spices: 2 T. of tumeric, 1 T. madras curry powder, 3 T. roughly crushed pink peppercorns, 1 tsp. allspice, 3 T. fennel seeds, 2 tsp. smoked sea salt and 1 tsp. Worstershire sauce. 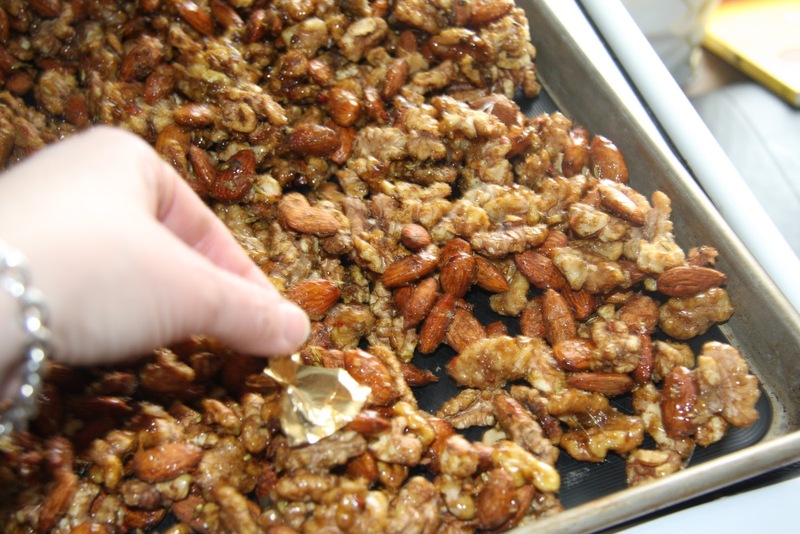 Toss in the toasted nuts. 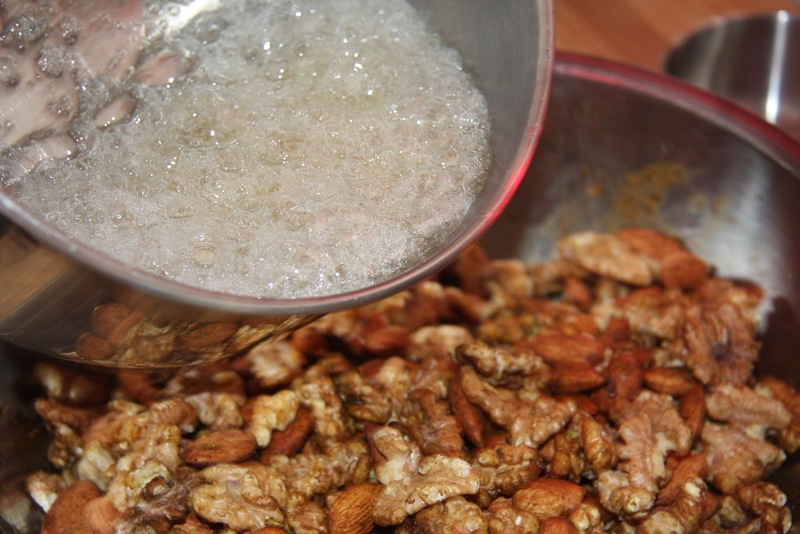 Add the bubbly sugar syrup. Keep in mind that this will not make a happy New Year if you souch this bubbly sugar in anyway. Turn out onto a silcone lined pan (or use parchment). Now for the super special part! 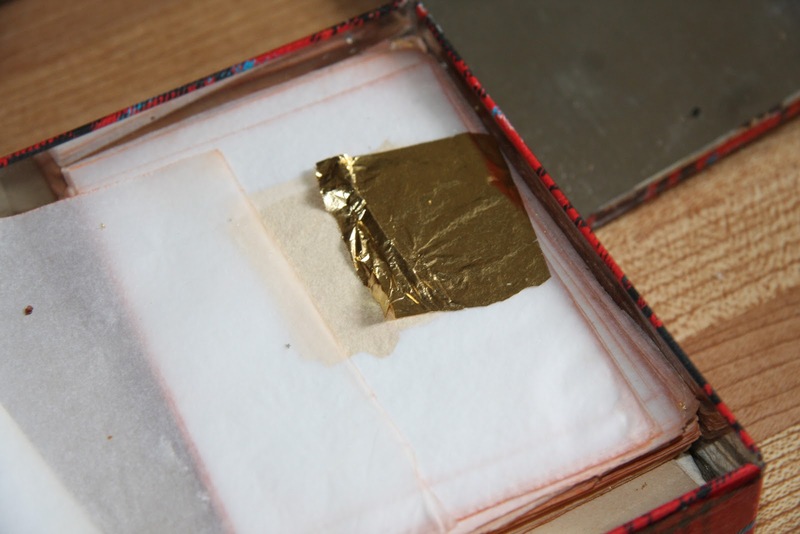 I have a cache of edible, gold leaf. What else says New Year’s more than gold? Just pat on top and mix.